Yo, I think this guy likes America. Lance Armstrong once looked down on the world along side sports legends like Michael Jordan and Wayne Gretzky. Regarded as the most successful and famous road cyclist in the sport, Armstrong was an inspiration for millions of people around the world following his heroic victory over testicular cancer. He went on to win seven consecutive Tour de France titles, while raising immense amounts of money for cancer patients through the Lance Armstrong Foundation. Armstrong’s success inspired people in their battle against cancer. With the wind of popular opinion at his back he became one of the most revered athletes in the world. Unfortunately, Armstrong was not the caped crusader that we knew him as. He was the bad guy with the magic pills. His elaborate doping scheme was revealed this June, much to the disappointment of fans around the world. Overnight, he became the center of media scrutiny, and one of the most disgraced athletes in history. Other than his immediate eviction from cycling (and a permanent ban on his participation in any races) he was also stripped of his titles. He has even had certain accolades and honors repossessed from him, one of which being the key to the city of Adelaide, Australia. The city of Edenbridge, England has even gone so far as to choose him as the dishonorable celebrity whose effigy will be burned as part of a tradition of Guy Fawkes Day on November 5. 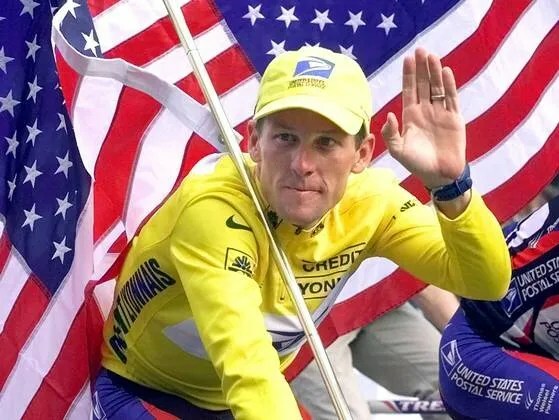 SCA Promotions, an insurance company in Dallas has insisted that Armstrong repay them $12 million in bonuses, and has said that they may take legal action as a result of a false testimony from Armstrong in 2005. There is nowhere left for the shamed cyclist to hide, certainly no one to take him in. Once passionate fans have joined the angry mob that hope to see his career and his reputation destroyed, and it’s hard to stay loyal when Armstrong literally doesn’t have the balls to step up and apologize for his actions. He remains adamant and denies that he abused drugs to improve performance in the races, though the World Anti Doping Agency (WADA) has made it clear that he is guilty of fraud. The once great star has burnt out, and it can only be a matter of time until he fades forever. His betrayal does not just affect the sport or his fans. His fraud has a much greater reach. Armstrong’s success brought on waves of admiration from citizens around the world, yet it was his fight against cancer and the victories that followed that made him a real role model. Armstrong was an iconic figure in the battle against cancer, and he didn’t just survive it, he achieved something that no one else has done. Armstrong won the Tour de France a record seven consecutive times. He was a symbol of hope, and raised money for a phenomenal cause under the alias of an honorable man. Even those who never cared about cycling can feel a loss for cancer patients peeling the Lance Armstrong posters off their walls. The fall from grace may have hurt Lance, but think of all the people he landed on.